Appropriate assembly techniques had to be developed (from supplied materials), incorporating plastic strips to produce the final promotional piece. A special gluing technique was developed to securely attach the top of the plastic strips and the coins in order to maintain the same constant position with the help of a special template. 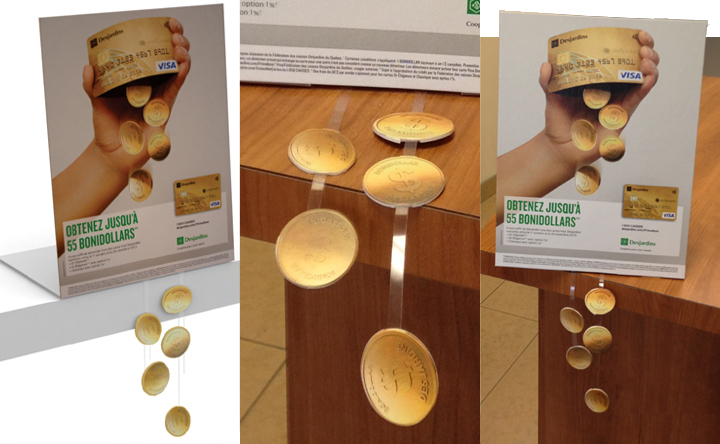 An attractive counter-card was developed with the hanging elements solidly in position.